Whether you are decorating for fall, Thanksgiving or Halloween, if you love boho chic style, this roundup is for you. 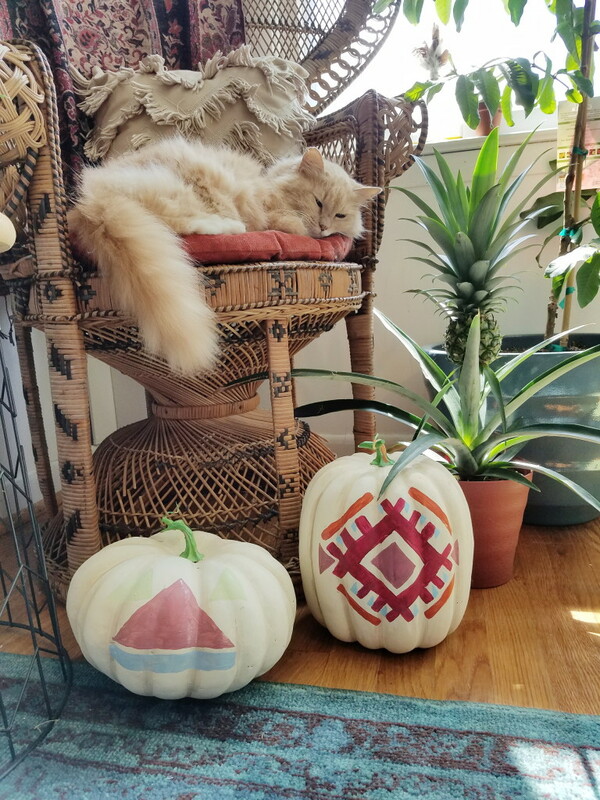 We’ve gathered the coolest and easiest ideas to decorate your pumpkin in boho chic style without any carving, drilling or other time requiring techniques. Let’s take a look! Geometry, especially colorful, is one of the popular features of boho style, and this tutorial will tell you how to apply this idea to your pumpkins with no fuss. 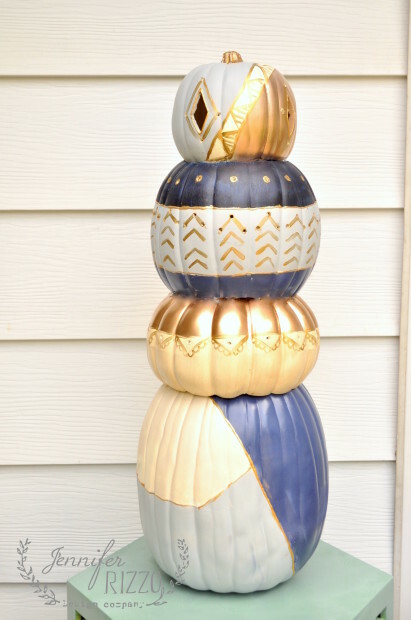 The pumpkins are decorated with vinyl stickers with a bright fall palette of turquoise, orange, and metallic gold. Vinyl adheres to the pumpkin smoothly and looks like a complicated paint treatment. The vinyl makes it super easy to reposition your shapes as needed to make your pumpkin look just right! Forget about traditional Halloween carving and go true boho-chic chic style. agaes and geodes are a popular decor idea and you may easily apply them to your pumpkins. The concentric rings reminded us of a spiderweb design and glowed beautifully when lit from behind — just the thing for the free spirited jack-o-lantern! Read how to make a piece with this agate slice and go boho! What can be more boho-like than henna tattoos? 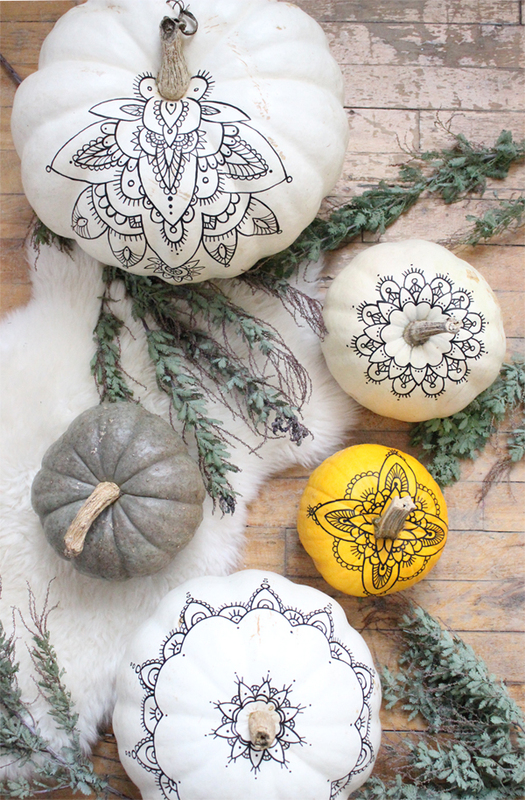 So make some henna pumpkins! You can use it as inspiration to decorate your own pumpkins or you can even use it as a stencil. How gorgeous would this set up look as a table centerpiece for a boho Halloween party! If the vibrant, saturated colors of Halloween don’t really go with your indoor decor, this is not a problem, you can always handle it. 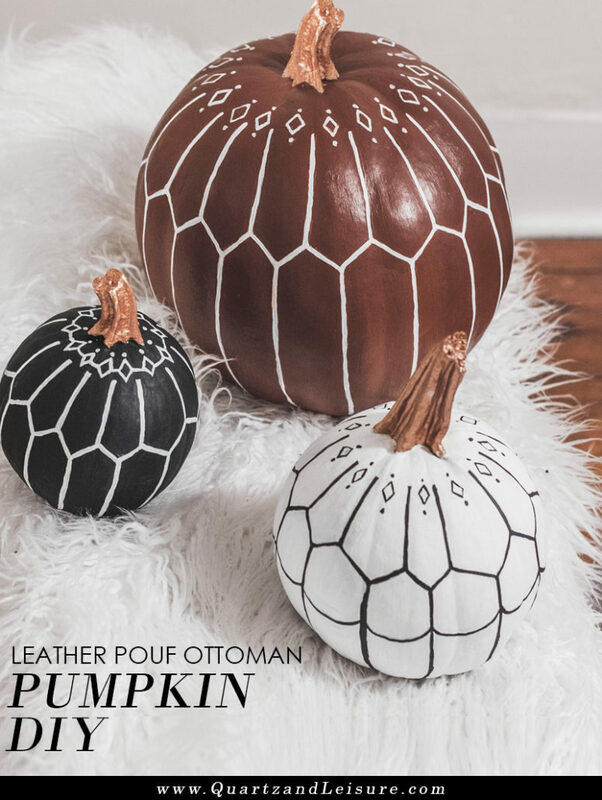 The author of this tutorial went for subdued boho pumpkins recreating one of her favorite home decor accessories, the leather pouf ottoman! You may copy her pattern or add something that you want, get inspired and get crafty! 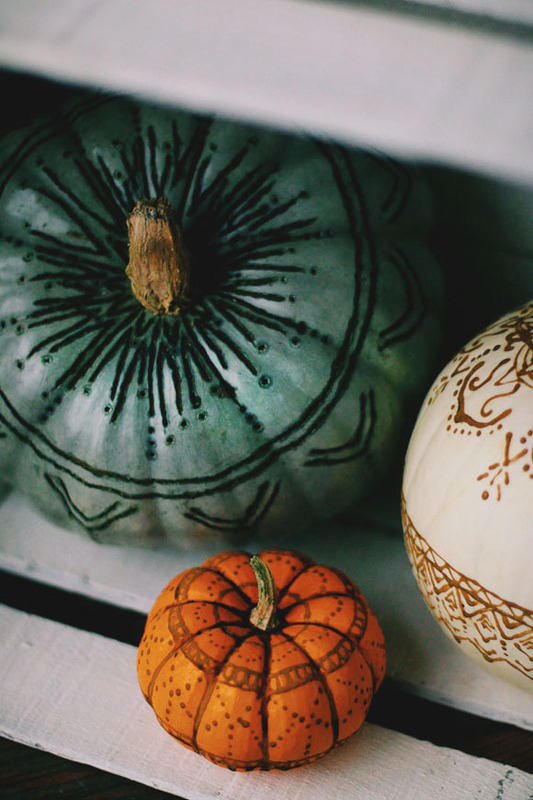 If you’ve carved, painted, and decoupaged pumpkins before, it’s time to look for something else! this tutorial will tell you how to incorporate henna and wood burning techniques into holiday pumpkin decorating. Feel free to follow along with the same patterns the author created, or come up with your own! The end result is unique, and a fun alternative to traditional pumpkin carving! Sugar skulls are traditional for Mexican Day of the Dead, and incorporating them into your Halloween decor is a great idea to get something different. If you do a google search for “sugar skull” you will come across a variety of images you can pull ideas from. 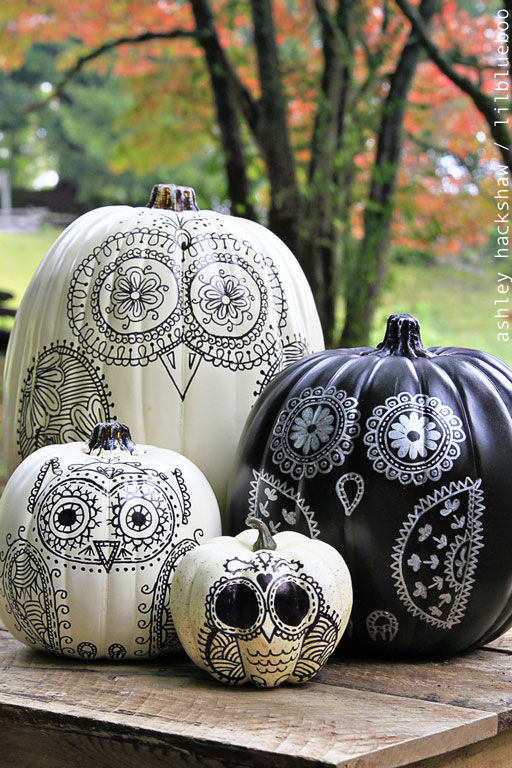 These pumpkins in black and white are decorated with simple sharpies but they look super cool, these sugar skull owls are fantastic! Recreate some on your pumpkins, too! 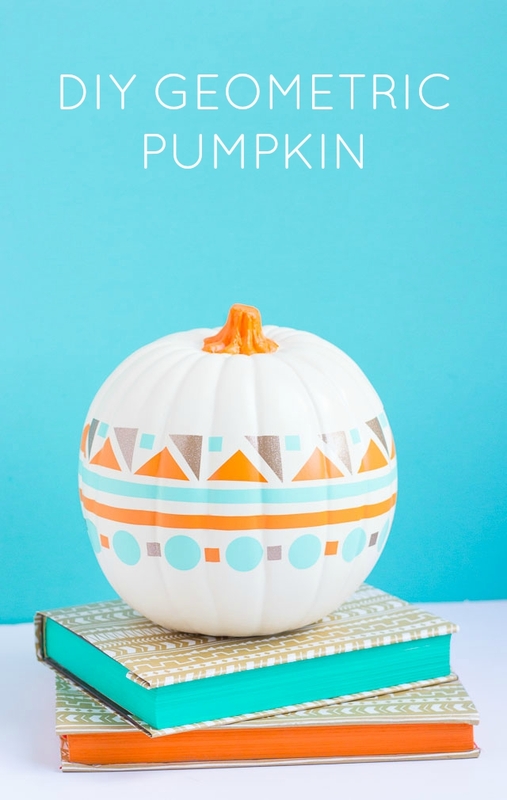 This project will tell you how to make some bold orange and teal pumpkins with tribal patterns. 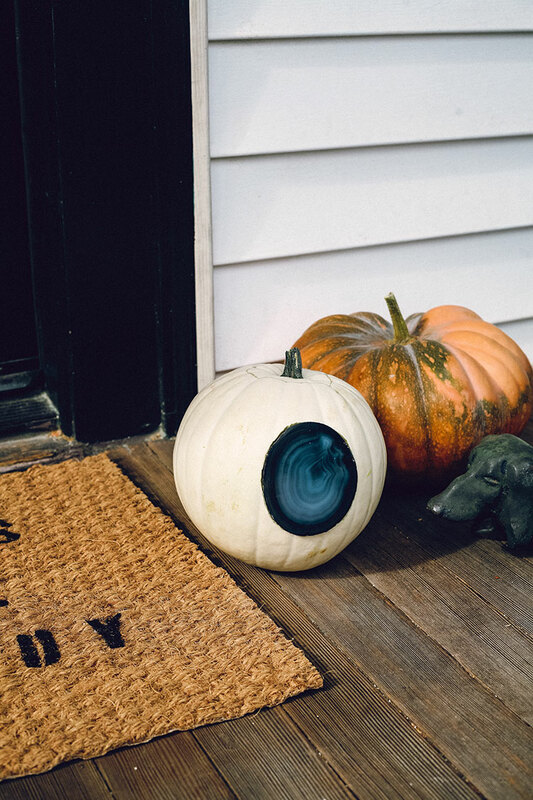 The possibilities with these no-carve pumpkin decorating techniques are endless. What color will you spray your pumpkins? What patterns will you decorate them with? Go wild and free-spirited! This bold pumpkin topiary is a great decoration for outdoor or indoor decor. 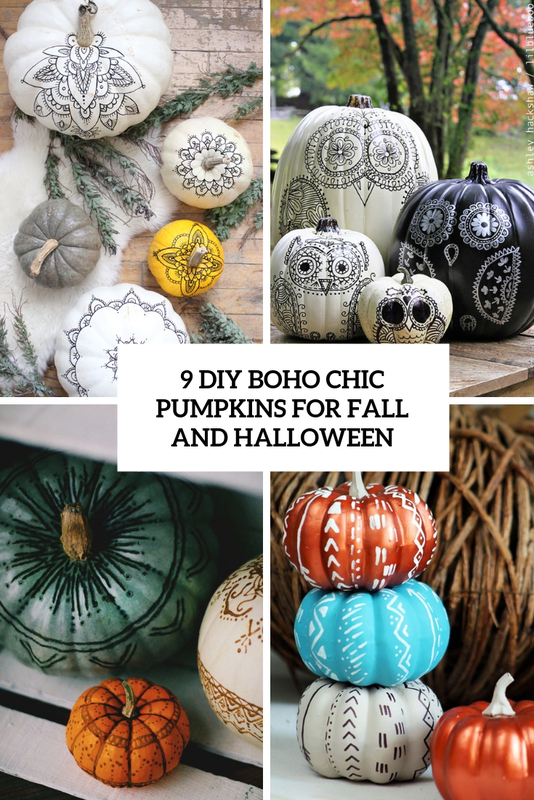 You may carve the pumpkins and add geometric patterns to them for a boho chic feel. Find out how to make the topiary and how to paint the pumpkins and enjoy! A kilim is a flat tapestry-woven carpet or rug traditionally produced in countries of the former Ottoman Empire, Iran, Azerbaijan and Turkic countries of Central Asia. 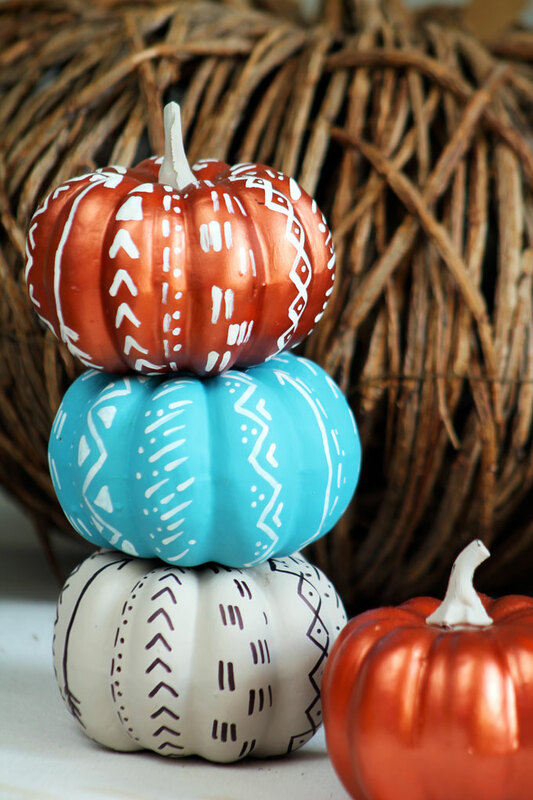 They were a source of inspiration for these colorful boho pumpkins, they are very easy to make and look cool!